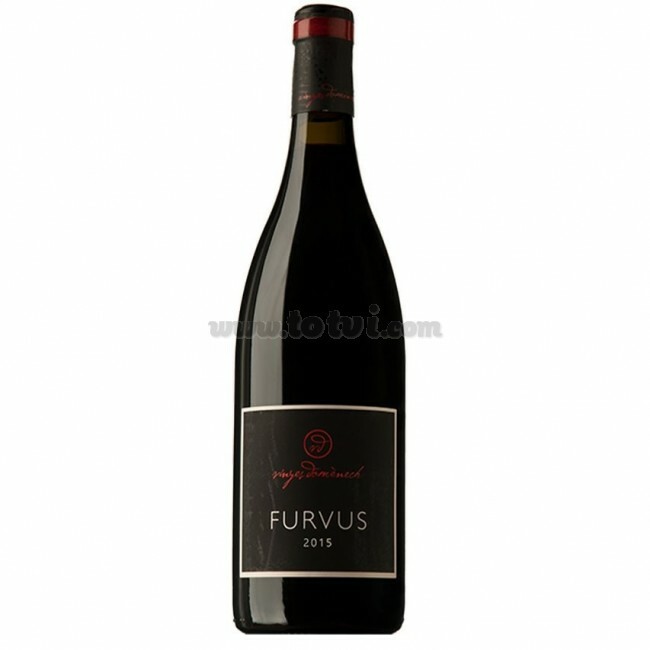 Furvus is a red wine coupage of Grenache and Merlot grown under organic and biodynamic viticulture certified by the CCPAE. A wine with a great aromatic impact as well as a warm, unctuous and alive welcome in the mouth. The aromas of the nose are translated to taste. Powerful wine with fruity aftertaste and slightly mineral. Furvus is a red wine coupage of Grenache (90%) and Merlot (10%) from its own vineyards planted in clay-calcareous soil. Ecological and biodynamic viticulture certified by the CCPAE is practiced. Cherry color bright and clean. The aromatic impact is immediate, the wildness of the berries, the ripeness of the blueberries and the warmth of the red plums. Gently spicy touches are introduced, reminiscent of red pepper, a deep note of lavender and the vitality of orange. All with rosemary pinseladas and touches of resin. In the mouth a warm, unctuous and lively welcome. Tastes are happening powerfully, but without losing the thread of acidity. The aromas of the nose are translated to taste, highlighting ripe blueberries and gentle spicy. The palate is broad and very powerful and powerful. Pleasant and persistent finish with fruity aftertaste and slightly mineral. After harvesting and destemming, an alcoholic fermentation is carried out for 12 days at a temperature lower than 29ºC. Aged for 14 months in new barrels of French and American oak first and second year. Ideal to accompany roasts, roasted or grilled red meats, cheeses and sausages, etc.